"My solicitor, whose standards are high, tells me that he has not dealt with a better estate agent. I would agree and will not hesitate to recommend Location Chelmsford as a result"
As an independent estate agents in Chelmsford we make sure that we always put our customer’s needs at the forefront of our business, with an understanding that good word of mouth and good customer experience with our Chelmsford estate agency has given our company longevity. 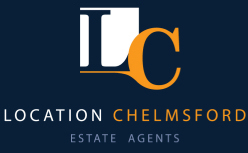 If you are thinking of buying in Chelmsford we will be able to assist you in finding a property which meets your individual needs, whether you are a first time buyer or are thinking of moving up or down, our experienced Chelmsford estate agency team will be able to help you achieve your goals. To check out all of our latest properties for sale please click here. If you are thinking of buying a BTL in Chelmsford we will be able to give you advice from beginning to end of your property investment. Giving advice on which properties will give you the highest potential rental yields to helping you to manage your properties on a day to day basis if required. For more information please click here. Location Chelmsford prides themselves on being a reliable and experienced letting agents in Chelmsford. We can help you with your property search in and around Chelmsford, making sure that we find a property which meets your individual needs. To check out all of our latest property to rent please click here. Location Chelmsford has had many years of experience working with new build companies to make sure their properties are marketed professionally and quickly. If you would like to find out more about our service then please click here.